↑ Soubeyrand, Catherine (2000). The Royal Game of Ur. The Game Cabinet. 访问日脚2008-10-05. ↑ Green, William (2008-06-19). "Big Game Hunter". 2008 Summer Journey (Time). http://www.time.com/time/specials/2007/article/0,28804,1815747_1815707_1815665,00.html. Retrieved 2008-10-05. ↑ History of Games. 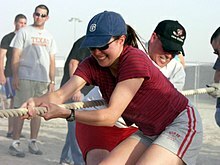 MacGregor Historic Games (2006). 访问日脚2008-10-05.